As I work my way through my Guinness repertoire (see the last post for this story), I realise that oysters appear more than once - they go so well together! 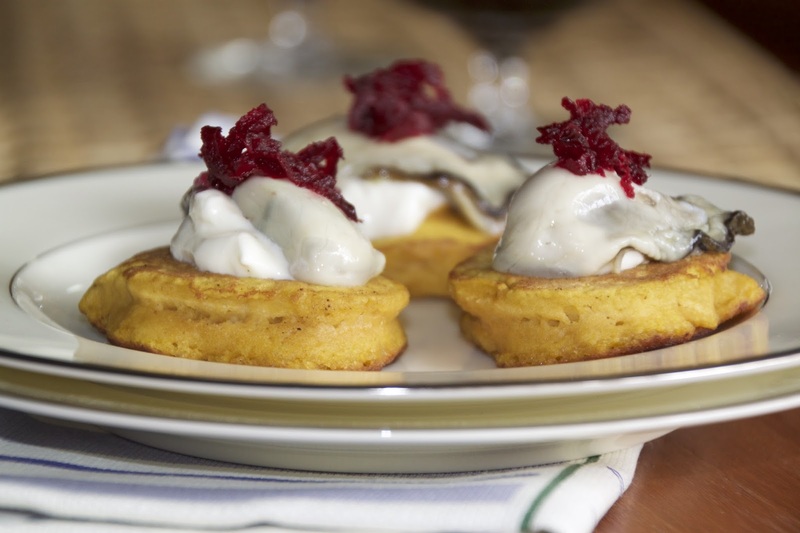 In this recipe, I've added the sweet and earthy touch of pumpkin to some blini, topped with a rich Creme Fraiche and tangy beet relish. I love using grape seed oil to saute the blini - high smoke point, mild flavour and healthy! Salute Sante! 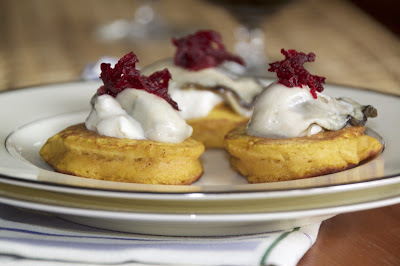 Australians love our pumpkin - mashed, roast, boiled, grated, pickled and in scones - stay tuned for my pumpkin scones. Greengrocers have a year round supply of those big deep orange wedges of Jap (a Japanese variety, same family as Kabocha), or Queensland Blue - you can also use Butternut but I never find the flavour as exciting. This recipe was adapted to use for my cooking demonstrations for BR Cohn Winery, who make some seriously delicious vinegars and oils. To make the relish, place the seeds in a steel or non-stick pan and gently warm over medium heat until seeds begin to pop. Pour in the vinegar, sugar remove from heat. Fold through the beets. Place in a glass dish and refrigerate until ready to serve, or overnight. To make the Blini, sift the flours together in a large bowl. Beat the pumpkin, oil and egg together well, then stir in the beer. Pour this into the flour and mix just until combined. Season to taste. Heat a few teaspoons oil in a large non-stick pan over medium heat and using about 2 tablespoons poons mixture per blini, place enough in pan to fit with at least an inch in between. Cook blini for 2 minutes each side or until golden brown. 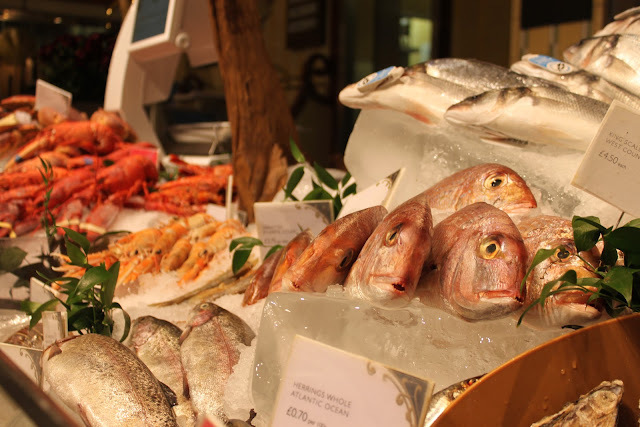 Transfer to a wire rack to cool while you cook the remainder, adding fresh oil each time. To serve, spoon a dollop of Crème Fraiche onto blini, top with a small mound of relish and a sprig of dill. If using oysters, place an oyster under the relish.